Armidale and Region Guide - The guide to Armidale, Guyra, Uralla and Walcha including smaller towns and villages in the region. Things to do and complete map. Tourist Drive 19 - Culture, Wilderness and Heritage drive. Half/Full Day Tour, including the New England Regional Art Museum, Aboriginal cultural Centre & Keeping Place, Petersons Winery and more. Aboriginal Culture and Heritage Drive - A Half/Full Day Tour, including the highlights of the regions Aboriginal Culture and Heritage. Including Mount Yarrowhyck Nature Reserve, Rocky River, Thunderbolts Rock and Saumarez Homestead. Tourist Drive 17 - A Full Day Tour to experience the best of the New England High Country. 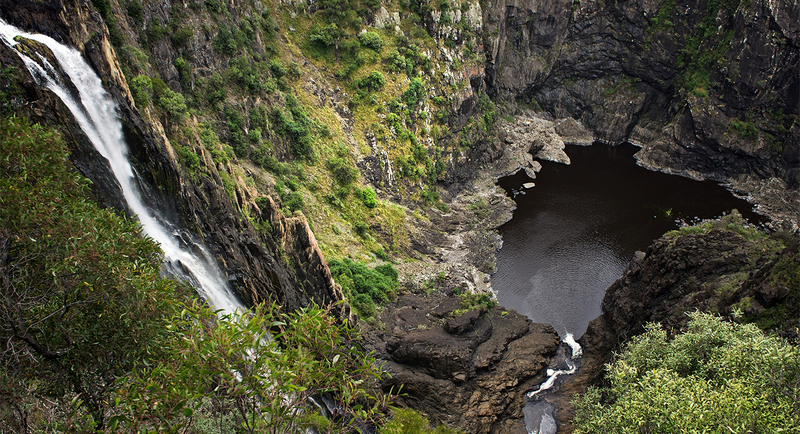 Gara Gorge, Hillgrove, Wollomombi Gorge, New England National Park and more. Waterfall Way Brochure - An exciting journey of discovery, linking Coffs Coast to the New England Tableland, through a landscape rich in culture and natural history.